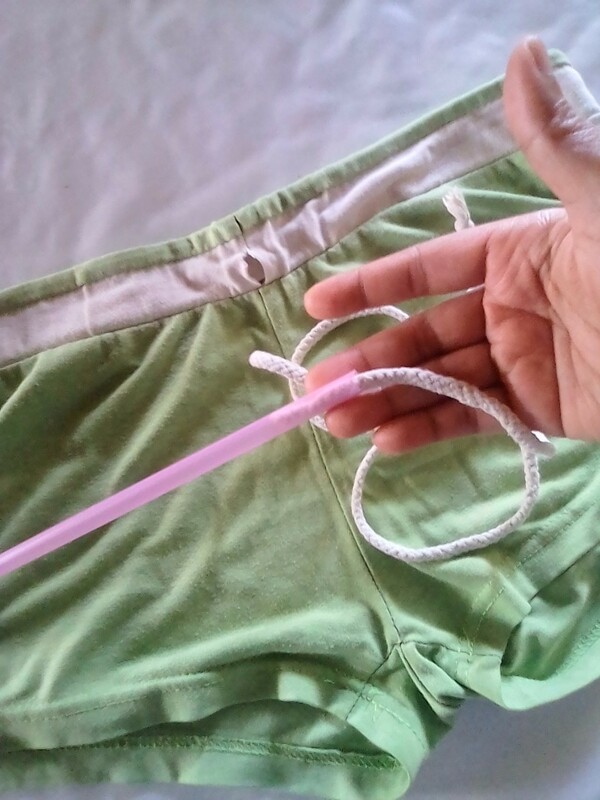 To rethread a draw cord for your sweats or shorts, insert the cord into a drinking straw and staple it so that it won't slip away when you pull it. 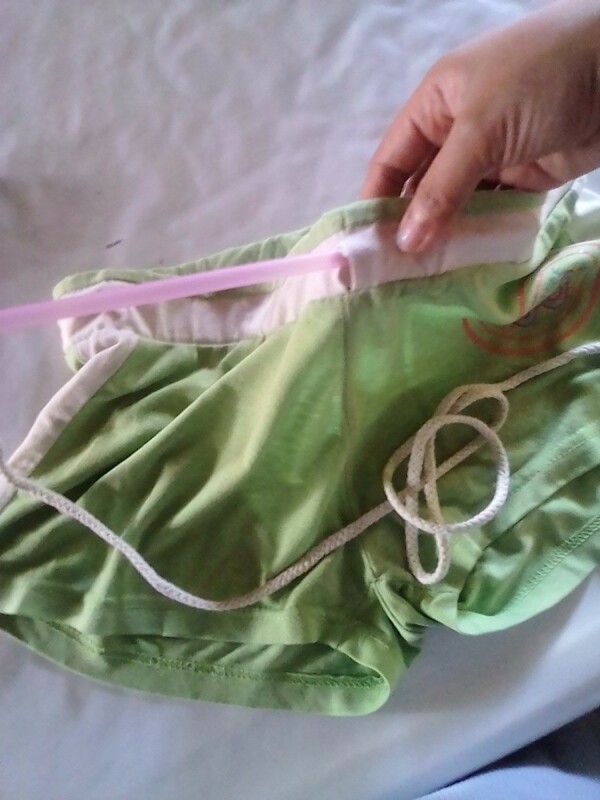 This is a guide about use a drinking straw for threading draw cords. 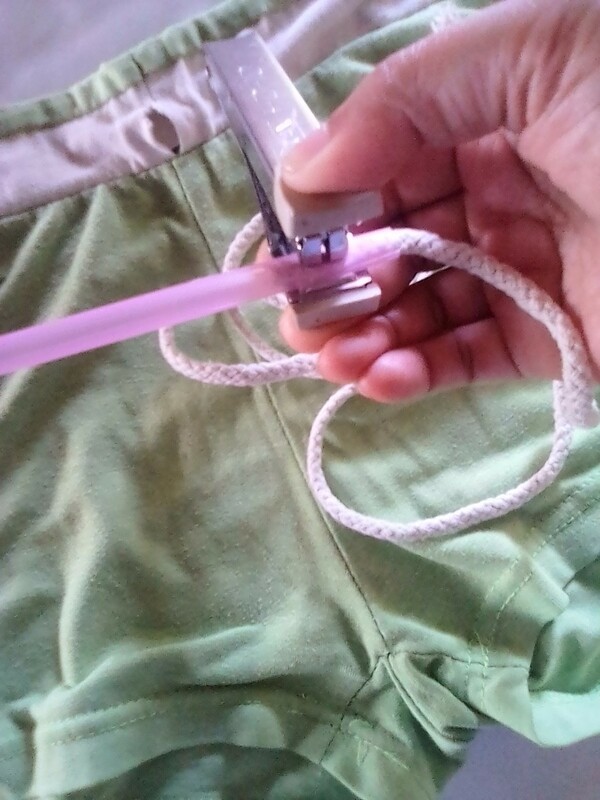 I use a drinking straw when threading draw cords from my hoodie jackets, and on my shorts. This way, it makes it easy to pull it through. Just insert the draw cord into the drinking straw and staple it so that it won't slip away when you pull it. It is an easy way to keep the draw string in place! Great idea! Plan to use i t soon. Thank you for appreciating it..